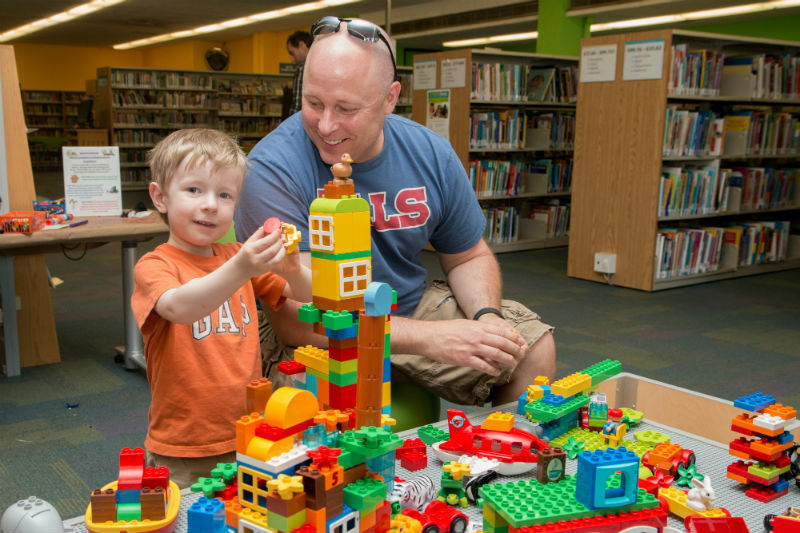 EXPLORE PLAY LEARN is Waterloo Public Library’s approach to the American Library Association’s Every Child Ready to Read™ program. At WPL, early learning programs for young children are based on early literacy research and include tips and information for parents and caregivers. Engaging in reading, writing, singing, playing and talking activities together will help build your child’s literacy skills for life. Ready to discover more about EXPLORE PLAY LEARN? We’ve created a fantastic collection of resources to help get you started reading, writing, singing, playing and talking. Check out the links below! How do early learning programs at WPL help your child to get ready to read? Explore Play Learn programs at WPL will intentionally reinforce the five practices (read, write, sing, play, talk) which will help foster an understanding of early literacy development and empower families to engage in early literacy practices at home. The more exposure children get to early literacy practices the better prepared they will be for reading. WPL is a proud member of the Early Literacy Alliance of Waterloo Region. To view the ELAWR's "Talk Play Read Sing" videos for parents, click here.